A hotel, two restaurants, a coffee shop, a theatre, a music school, a bank, a reading room, the editing and printing offices of the Slovene daily newspaper Edinost, offices, studies and private apartments: for 16 years the Narodni Dom in Trieste hosted all these activities. Between August 1904 and July 1920 this multifunctional building in Piazza della Caserma held over 600 theatre performances, 134 concerts, 95 political events, 84 conferences. These figures are indicative of the lively life of Trieste and its Slovene community at the beginning of the 20th century. The role of the Narodni Dom was to show the economic and cultural solidity of the Slovene community, but it was also a reference for Czechs, Croatians, Slovakians, Serbians and members of other communities living in the main port of the Habsburg Empire. 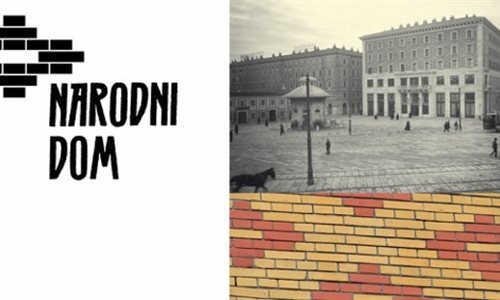 To commemorate this important part of the city's history, the Slovenski klub - a Slovene cultural association with over 50 years of activity - created Project ND110, in occasion of the 110th anniversary of the construction of the Narodni Dom (1904), in partnership with the Slovene National and Study Library - Narodna in študijska knjižnica and the cultural association Cizerouno. The objective of the project is to inform the students who every day enter the building in Via Filzi - but also the citizens of Trieste and the tourists that visit the city - about the history of the Narodni Dom, which today is home to the school for interpreters and translators of the University of Trieste. To this end, a permanent exhibition of photographs and informative materials has been set up in the entrance hall, illustrating the history and the transformation of the building, from multifunctional centre to University. Eight panels with the original plans by architect Max Fabiani, period photographs and art works, such as the reproduction of a painting by Vito Timmel and the testimony of writer Boris Pahor, who as a child witnessed the fire set by fascist extremists that on 13 July 1920 burnt down the Narodni Dom. The material on display, some of which published for the first time, comes from the archives of the History and Ethnography Section of the Slovene National and Study Library of Trieste, the Episcopal Gymnasium of Vipava (Slovenia) and private archives.